We are two passionate wine enthusiasts who are trying to make good quality vegan wine more available. As we have been wine enthusiasts since we met 15 years ago, selling vegan wine seemed like the perfect fit. Initially we will be selling wine subscription boxes and wine and chocolate gifts. 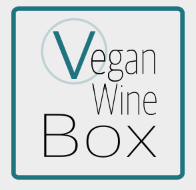 Our eventual aim is to become the largest retailer of vegan wines in the UK. We will individually vet any vineyards we work with to ensure they are following vegan practices. No, despite wine being essentially alcoholic grape juice, a lot of it isn’t vegan at all. This is due to additives used to speed up the clarification process, these additives can contain Gelatine (derived from animal skin and connective tissue, Isinglass (derived from fish bladders), Albumen (egg whites), Casein (milk proteins).